A couple months ago I wrote an article for On Pasture called Breeding Matters. I briefly alluded to Line Breeding as a method of getting greater consistency and uniformity of type in one’s herd or flock. Most producers I talk to do not stick around for the sale of their livestock, or see only part of the sale. One thing that happens in large auction barns particularly is the segregation into groups of different size animals and different sexes. Ram lambs are segregated from ewe lambs or steers from heifers. These groups are further broken down to create the most uniform lots possible. In other words, the BUYERS are looking for groups of livestock that are as uniform and consistent and thrifty as possible. 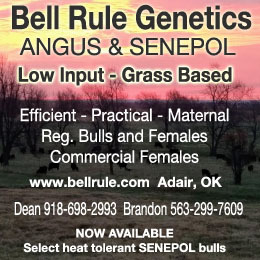 This consistency and uniformity is what their buyers are looking for, whether they are feedlots or end user consumers. For good or ill we live in an industrialized world where the uniformity and predictability of our products, from widgets to burgers, matters to our customers. Line breeding and the incumbent selection necessary to make that method of herd/flock building function is a step toward that greater salability (and hopefully profitability) within our farming or ranching businesses. Another issue often brought up when talking to producers about breeding, and line breeding in particular, is the fact that planned out crossing and hybridizing can give so much of an additional bump in production in the first cross, the F1. If a producer can gain 10% more production from a given group of calves simply because a terminal cross is made on their mama cows, why would they give that up? Of course, the key term is Terminal Cross. This is where the fly is in the ointment at the commercial level. Often we as producers focus on the extreme of our calf or lamb crop; which are the biggest calves? I’ll keep those great big heifers as replacements. We’ve just taken the first steps down the road to mongrelization and higher overhead costs through the increased feed requirements of those F1 and F2 crosses. We’ve lost our uniformity and predictability. This is where line breeding comes in. By using a couple of generations of closely related bulls (or rams/bucks) that carry the highly influential and profit driving characteristics that make for maternal efficiency (fertility first and foremost) and moderate size to retain breeding females from, we can build our “factory”; our ideal cow. Selecting for uniformity of size, calm disposition, and above all, fertility, we get a cow herd that all looks and acts alike. We have predictability and have removed the outliers. In this case, average is good. But aren’t we giving up that extra “pop” by not hybridizing? Only in the herd building, development phase. Once we have the foundation cow herd we can then move forward with our cross breeding program to capture it’s greatest effect. I will add that selecting a highly line bred and predictable bull with adequate calving ease behind him from that terminal breed to make that Terminal Cross will capture the very best of both worlds. For instance, a line bred Charolais or Simmental bull across moderate framed Angus, Red Angus or Hereford cows makes an awesome cross. We all know what kinds of crosses the right kind of Hereford bull makes on Angus cows. 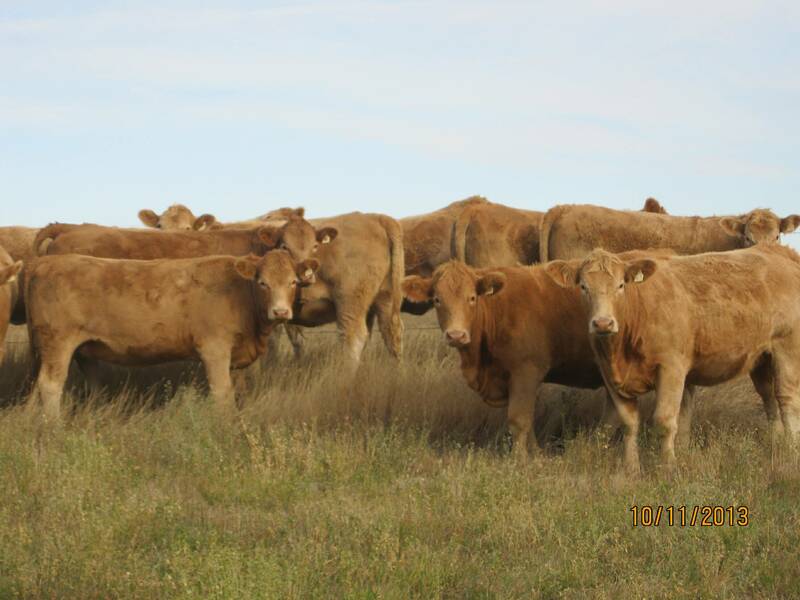 The trick is in finding the “right” kind of line bred bulls to cross on our foundation cows in the commercial sector. Ideally we start by finding real stock breeders, people who focus on breeding livestock for a particular purpose as opposed to the replicators. A replicator is a person who simply buys the flavor of the month bull through their favorite AI company and uses that bull blindly across whatever cows they have. They breed to a fad as opposed to paying attention to the commercial needs of their own cow herd and the commercial needs of their bull customers. This breeding to a fad can best be exemplified by the belt buckle cattle of the fifties and sixties. You know the ones that a moderately tall guy could pee over and that looked more like hogs or wooly sheep than cattle. Or maybe the “growth” cattle of the eighties, those 7, 8, or 9 Frame cattle that you could drive a Mini Cooper under. 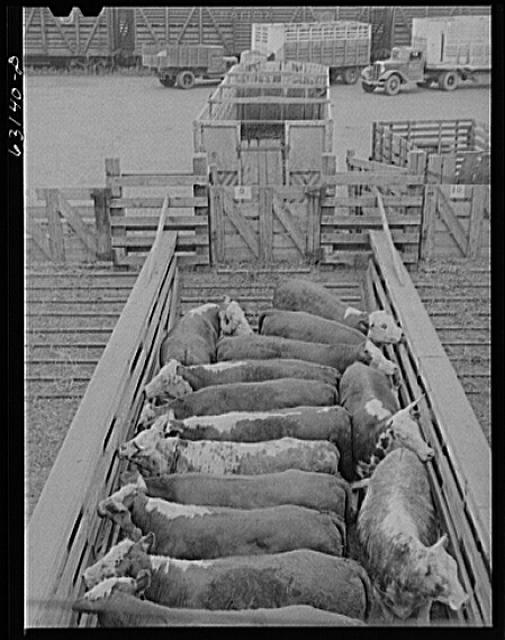 What good did those fads do the commercial cattleman? None. Fortunately there have always been a handful of real breeders of cattle out there in the world, and the same is true of sheep and goats. Men and women who focused on producing the most commercially viable and efficient stock possible for their commercial customers. The name Tom Lassiter comes to mind, the developer of the Beefmaster breed. Also, Kenneth Clark and Jim Lingle, both Angus breeders and close friends to one another. 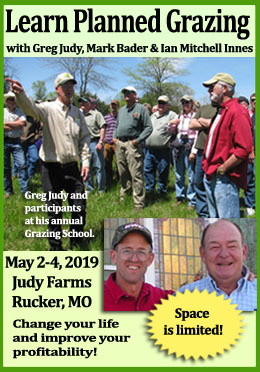 Roy Beebe, the eminent breeder of Red Angus cattle. 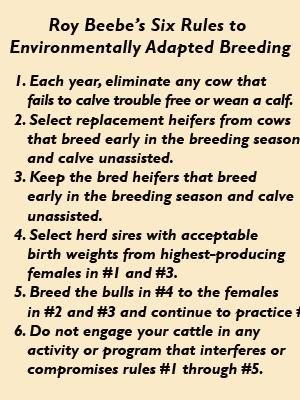 There are books and books and books on breeding livestock, but the best way to get what I want in my herd is to read a few books, talk to as many “real” breeders as possible, formulate an image of my “ideal cow and ideal bull” in my mind, and then get busy breeding cattle that come close to that image. 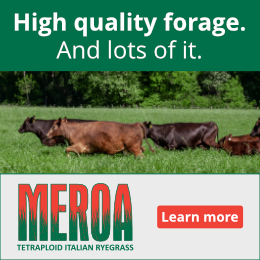 The cattle I breed may not work for everyone, but they will be consistent, uniform and ultimately highly efficient on grass. If you have questions or comments I highly encourage you to respond to the lovely editors and publishers of On Pasture. This publication is about dialogue and conversation. After all, there are too darned few of us out in this industrialized world raising food. We need to talk together, learn from one another and stick together. Morgan Hartman is a grazier and Founder/Managing Partner of Black Queen Angus Farm in Berlin, NY. He regularly can be found near a smoky fire with greasy fingers and a well-fed expression on his face. Less frequently he can be found actually working. When I hear “line breeding”, I think “inbreeding.” How much can be too much? Morgan sent you a nice response via email. For those of you yet to see it, stand by! It’s our next article on breeding matters.